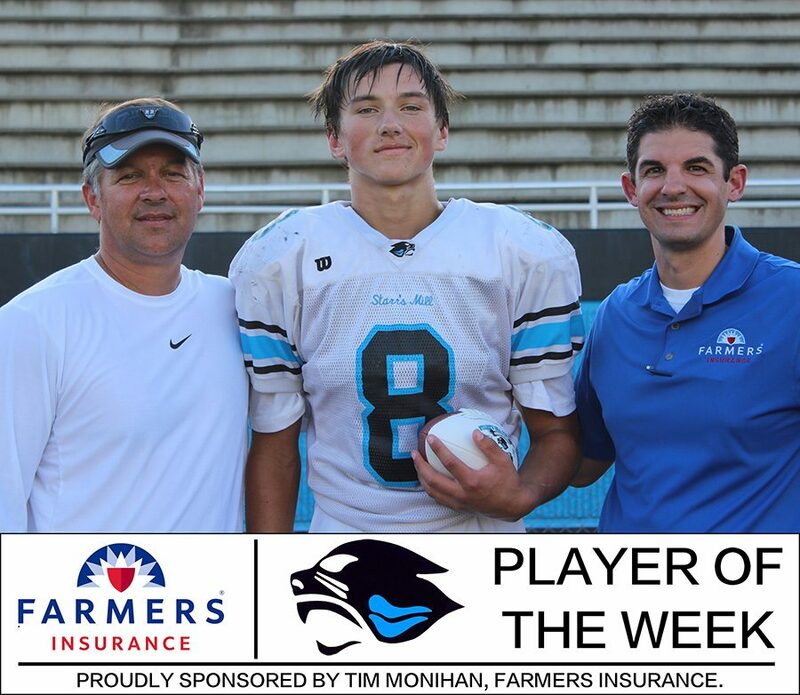 Tim Monihan and Farmers Insurance have presented sophomore linebacker Cole Bishop with the sixth Player of the Week award for the 2018-2019 school year. Bishop’s defensive play has improved greatly from the previous season. Against Chapel Hill, Bishop had six tackles, four of them for loss. Bishop and the Panthers play at home on Sept. 14 against the Sandy Creek Patriots, a team Starr’s Mill defeated 21-6 a year ago. Kickoff is set for 7:30 p.m.